is a legal right that grants the creator of his/her work exclusive rights for the use and distribution of the same.Copyrights protect the original idea from being utilised by a competitor the Copyright Act,1957 governs the subject of copyright law in India. The purpose of copyright registration is to place on record a verifiable account of the date and content of the work in question, so that in the event of a legal claim, or case of infringement or plagiarism, the copyright owner can produce a copy of the work from an official government source. Before 1978, in the United States, federal copyright registration was generally secured by the act of publication with notice of copyright or by registration of an unpublished work. This has now been largely superseded by international conventions, principally the Berne Convention, which provide rights harmonized at an international level without a requirement for national copyright registration. However, the U.S. still provides legal advantages for registering works of U.S. origin. It is a common misconception to confuse copyright registration with the granting of copyright. Copyright in most countries today is automatic on “fixation” – it applies as soon as the work is fixed in some tangible medium. This standard is established internationally by the Berne Convention (1886), which most countries have signed onto since. copyright Registration may be required by countries before joining Berne. For instance, the US required registration of copyrighted works before it signed onto the Berne Convention in 1989; at that point, registration was no longer required for works to be copyrighted in the US. All United States copyright registrations and renewals registered since 1978 have been published online at the Copyright registration Office website. copyright Registrations and renewals prior to 1978 were published in semi-annual softcover Copyright Catalogs. For films from 1894 to 1969, inclusive, Library of Congress published hardcover Cumulative Copyright Catalogs, each covering ten or more years. Copyright Registration is necessary to protect the creators, creative work such as music, books, manuscripts, software’s, films, fashion designs, website etc from being copied and used for commercial purposes without the creators permission thus causing tremendous loss to the creator. Copyrights registration operates against unauthorized copying, the taking of another’s creation, without paying for it. Copyright registration is essentially a creation of statute, the copyright registration act makes it clear that no person shall be entitled to Copyright registration or any similar rights, in any work whether published or unpublished, otherwise than in accordance with the provisions of the Act. Copyright Registration of Creative work Protects your Creativity from being Stolen or Duplicated, and gives you a Confirmed Legal Right over your creation. Copyright Registration gives your Creative work a legal Status, thereby making it an Intellectual property, giving you exclusive legal right over your creation. 3. Nature of applicant’s interest in the copyright i.e. OWNER / LICENSEE etc. Copyright application status can be checked online on copyright.gov.in. Waiting: Payment Accepted,Application in mandatory waiting period of one month(Copyright Act 1957). Scrutiny: Application is under process. Discrepant: Application is not in complete format a letter will be sent to you by Registered Post. Re-Scrutiny: Application is under process again with Reply sent by you. Registered: ROC is Generated will be sent to you by Registered Post. 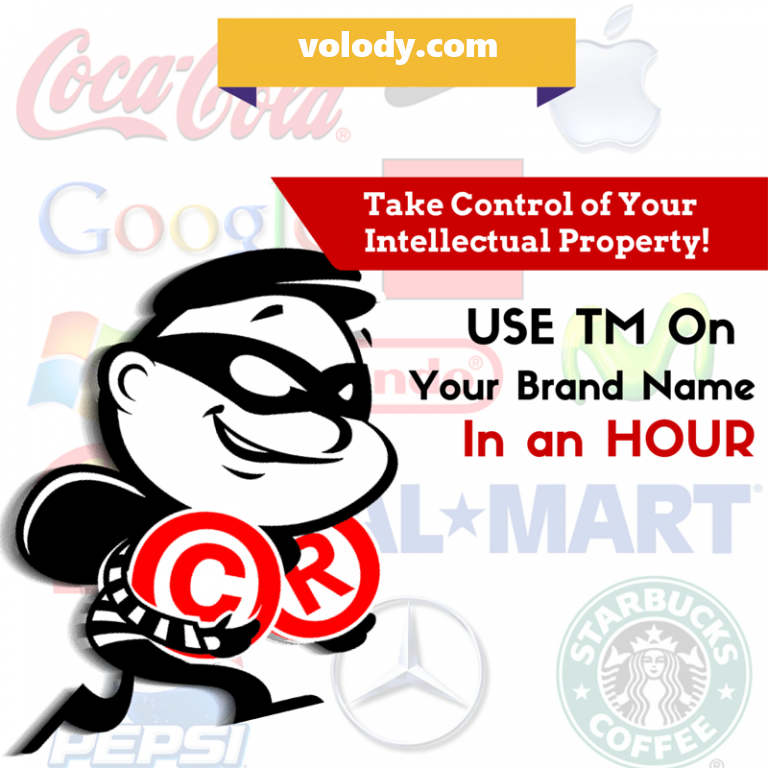 Please visit http://volody.com/ to avail the service.